New England’s largest island, Martha’s Vineyard is a beautiful getaway just seven miles south of Cape Cod. It’s a beautiful and relatively untouched place that serves as a second-home for celebrities, a fun place for mainland natives to daytrip, and a natural escape for overworked urbanites. There are a multitude of green farms, expansive beaches, chef-driven eateries, and an array of unique and cozy accommodations. 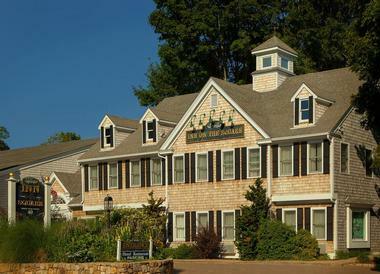 The grand and beautiful Summercamp Hotel overlooks the sparkling Oak Bluffs Harbor in Martha’s Vineyard. 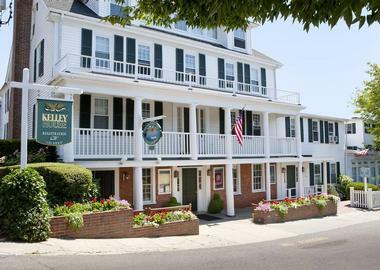 The hotel’s central location in Oak Bluffs provides its guests with easy access to several of the town’s art galleries, casual restaurants, and retail shops. You can conveniently discover many of the island’s other attractions that include Menemsha Hills, Ocean Park, and Edgartown Lighthouse. The hotel provides accommodations that meet a variety of budget options, from the charming Twin Bunk room, to the luxurious Lark Suite. 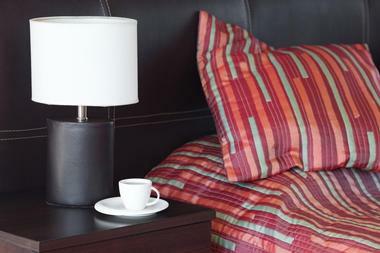 The rooms are bright, colorful, and tastefully decorated with contemporary furnishings. Additional amenities include flat-screen TVs, and complimentary Wi-Fi. The Dockside Inn is a wonderfully charming boutique-style hotel situated along the picturesque Oak Bluffs Harbor in Martha’s Vineyard. The hotel’s idyllic location on the harbor makes it perfect for guests to enjoy water activities that include kayaking, paddle boarding, sailing tours, and world-class fishing. Just steps from the hotel, you will be able to enjoy Oak Bluff’s art galleries, waterfront restaurants, cafés, and retail shops. The well-appointed rooms are spacious, bright, and contemporary in design. Some of the rooms offer breathtaking views over the sparkling harbor. They all feature private bathrooms, adjustable central air, complimentary Wi-Fi, and flat-screen TVs. The Hob Knob Luxury Boutique Hotel & Spa is a charming Colonial-Revival inn located in the heart of Edgartown, Martha’s Vineyard. Travelers will appreciate the hotel’s close proximity to several waterfront restaurants, art galleries, and gift shops. Guests can spend the day exploring attractions like Martha’s Vineyard Museum, Chappaquiddick Island, and the Felix Neck Wildlife Sanctuary. Every room and suite features opulent touches like soft Versai linens on king-size beds, private bathrooms with Aveda products, and plush cotton bathrobes. They also have flat-screen TVs, phone docking stations, and high-speed Internet. After an adventurous day, enjoy a relaxing massage at the hotel’s rejuvenating spa. One of Martha’s Vineyard’s most sophisticated and unique hotels, The Christopher provides its guests a one-of-a-kind experience in laid-back Edgartown, Massachusetts. The hotel’s central location makes it a breeze for guests to explore nearby restaurants, boutique shops, cafés, and art galleries. You will also be very close to several area attractions, including Joseph Sylvia State Beach, Polly Hill Arboretum, and the historic Gingerbread Cottages. The well-appointed rooms blend New England’s coastal chic furnishings with a Caribbean island style. The rooms are equipped with flat-screen TVs with Apple TV, private bathrooms, and complimentary iPads for guests to use during their stay. Travelers will find this historic colonial revival home situated in the center of Edgartown in northeast Martha’s Vineyard. 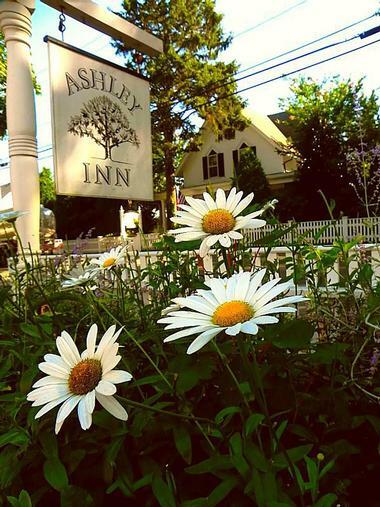 Built in 1860, the award-winning Ashley Inn still maintains much of its historic charm. Travelers staying here will appreciate how easy it is to explore places like South Beach’s rolling dunes, Aquinnah Cliffs, and Edgartown Lighthouse. Other activities include a tour to Chappaquiddick Island or exploring Long Point Wildlife Refuge. 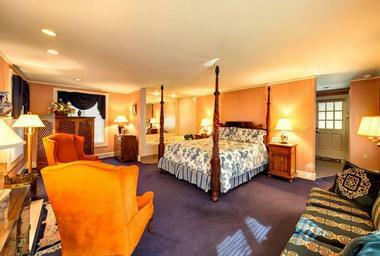 There are 10 rooms at the Inn, and they feature old-world charm with modern amenities. They have been individually and uniquely decorated with period furniture. Room amenities include complimentary Wi-Fi, cable TV, and private bathrooms. 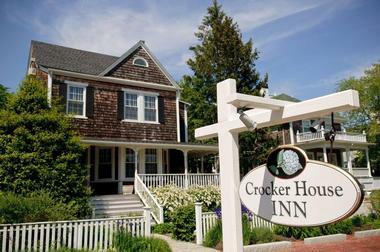 The Crocker House Inn is located in the northern part of Martha’s Vineyard, minutes from Vineyard Haven Harbor. Guests will enjoy being close to a variety of restaurants that include La Sofita, Copperwork, OffShore Ale, and Bobby B’s. You will be able to enjoy a variety of activities like stand-up paddle boarding, sailing tours, or shopping in Vineyard Haven’s boutique stores. The rooms feature beautiful wood floors, large windows, and tasteful décor. Some of the rooms have opulent touches like fireplaces, water views, and private balconies. Additional amenities include full private bathrooms, 24-hour concierge service, and a daily hot breakfast. 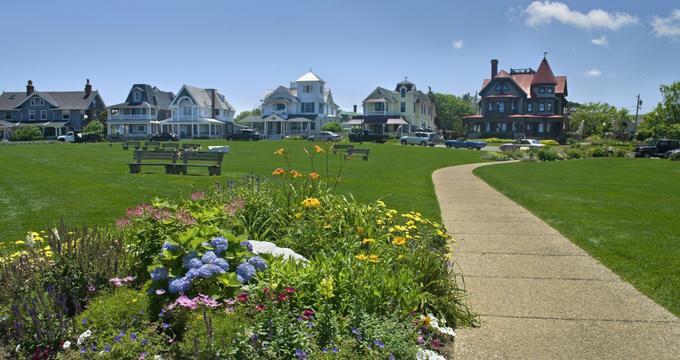 Edgartown Commons offers travelers an excellent budget-friendly option in Edgartown, Martha’s Vineyard. This unique hotel has 35 units that range from a studio all the way up to a two-bedroom house. Each unit has its own charm and style, provides a full kitchen, and has a living area for relaxing. Guests will appreciate being close to area attractions that include the Edgartown Lighthouse, Gay Head Lighthouse, and Felix Neck Wildlife Sanctuary. The spacious and bright units feature tasteful contemporary décor. They have modern amenities like flat-screen TVs, Wi-Fi, and private bathrooms. Additional amenities include a sparkling pool, picnic tables, and a BBQ area. The Harbor View Hotel is an elegant and stately Martha’s Vineyard accommodation located in the heart of Edgartown, Massachusetts. 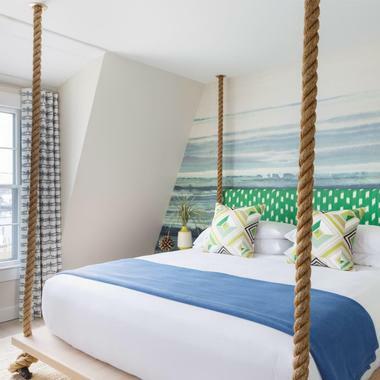 Travel + Leisure has rated it among the “World’s Best Hotels,” and Martha’s Vineyard Magazine listed it as the “Best Overall Place to Stay.” Built in 1891, this iconic hotel overlooks Edgartown Harbor, Edgartown Lighthouse, and the picturesque Chappaquiddick Island. 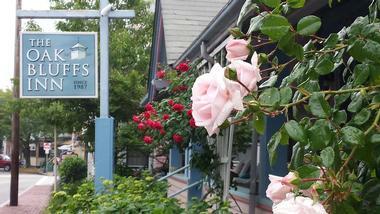 Guests can conveniently walk the elm lined streets of Edgartown and explore boutique shops, cafés, and restaurants. The well-appointed, casually sophisticated rooms and suites feature contemporary furnishings and modern amenities. 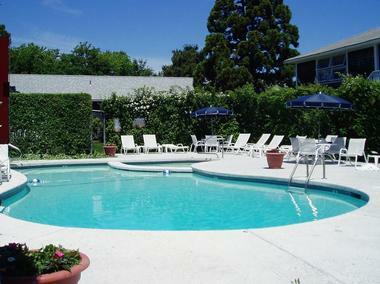 The hotel also has a heated outdoor pool and three on-site restaurants. 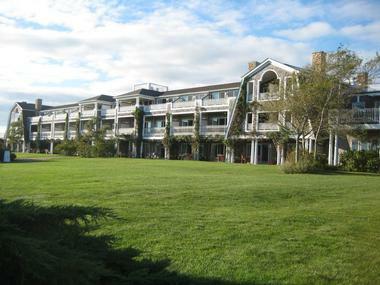 This lovely waterfront resort has 90 luxurious guestrooms and is situated on the harbor in Edgartown, Martha’s Vineyard. 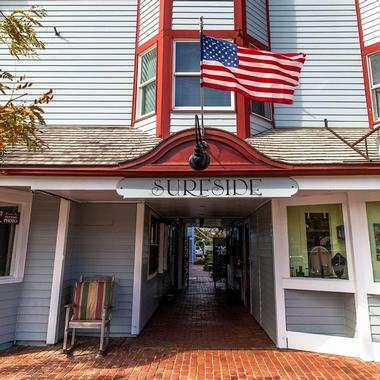 Located in the center of Edgartown, Harborside Inn offers its guests convenient access to several art galleries, gift shops, and waterfront dining options. Additional area attractions for guests to explore include Lucy Vincent Beach, Edgartown Lighthouse, and Aquinnah Cliffs. Several historic Georgian homes are the resort’s foundation, including the Ripley House, Jeremiah House, and Prada House, to name a few. The rooms are bright, spacious, and feature elegant furnishings. Most of the rooms provide gorgeous views over the sparkling harbor and heated pool. 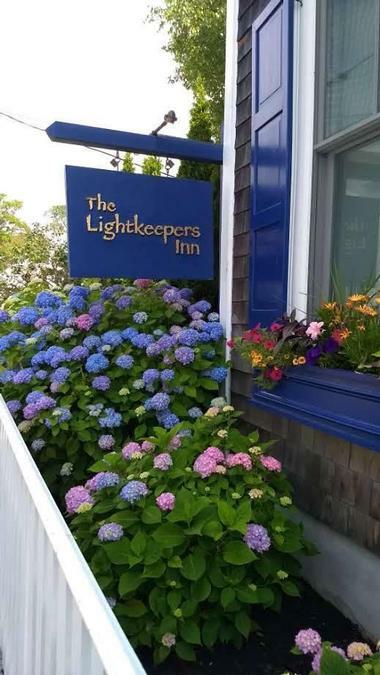 Travelers will have the Martha’s Vineyard Island retreat they’ve been dreaming of when they stay at The Lightkeepers Inn. Conveniently situated in the heart of Edgartown, the inn is only two blocks from Main Street and one block from Edgartown Harbor. From the hotel, guests can conveniently explore many of the town’s art galleries, boutique shops, cafés, and restaurants. There are also many attractions on the island for guests to visit that include the Edgartown Lighthouse, Martha’s Vineyard Museum, and the Flying Horses Carousel. 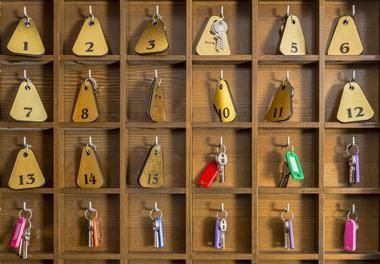 There are six charming guest suites that sleep four. They have living rooms, full kitchens, and private full bathrooms. 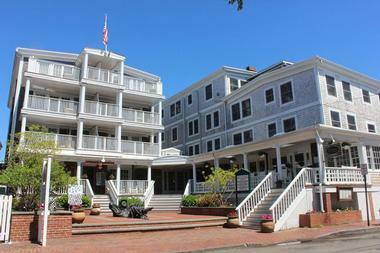 This iconic hotel first opened its doors in 1742 and has been offering classic Martha’s Vineyard charm ever since. 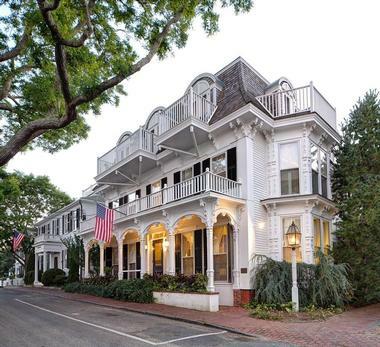 Recognized as one of America’s oldest hotels, the stately Kelley House Hotel is located in Edgartown, Massachusetts. Guests staying here will appreciate how close the hotel is to a variety to boutique shops, art galleries, and waterfront restaurants. Additional activities include playing a round of golf at the premier Mink Meadows Golf Club, sailing tours, and exploring the island’s picturesque beaches. The hotel is comprised of four beautiful houses and cottages that offer a variety of well-appointed suites and rooms. 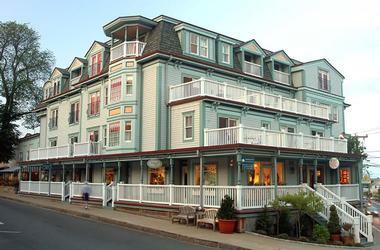 Travelers will find this charming seaside hotel conveniently situated in the heart of Oak Bluffs, Martha’s Vineyard. The hotel is conveniently close to historic sites such as East Chop Lighthouse, Ocean Park, Flying Horses Carousel, Union Chapel, and the Gingerbread Cottages. Just outside the front door guests can explore the village’s cafés, retail shops, and restaurants. During the summer, popular activities to enjoy are cycling, kayaking, and lounging at the beach. The rooms are bright and airy, tastefully decorated, and feature contemporary furniture. All of the rooms come equipped with private bathrooms, complimentary Wi-Fi, and flat-screen TVs. Built in 1791, this historic federal-style mansion features a charming façade with mint-green trim, bay windows, and white banisters. 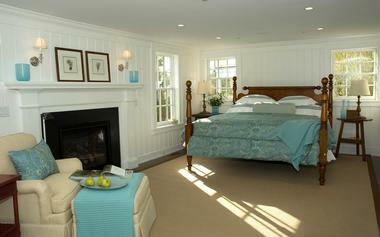 The Mansion House Inn on Martha’s Vineyard is conveniently situated in the heart of Vineyard Haven, Martha’s Vineyard. The main street location gives its guests convenient access to several cafés, retail shops, restaurants, and the beach. There’s a common theme throughout the rooms with pale mint-green walls, white-painted furniture, and country-beach décor. Each room has a private bathroom, cable TV, and complimentary Wi-Fi. Some deluxe suites and rooms offer luxurious amenities like fireplaces, soaking tubs, and balconies with breathtaking water views. 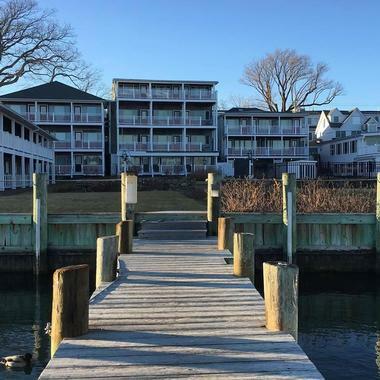 The delightful Martha’s Vineyard Surfside Hotel overlooks beautiful Nantucket Sound and is conveniently situated in the center of Oak Bluffs, Martha’s Vineyard. Guests will appreciate the hotel’s close proximity to restaurants, farmers markets, boutique stores, and charming cafés. There are several outdoor activities for guests to enjoy that include kayaking, paddle boarding, golf, and sailing. The well-appointed rooms are bright, spacious, and contemporary in design. All of the suites and guest rooms are equipped with adjustable central air, complimentary high-speed Internet, cable TV, and mini-fridges. Some rooms feature additional amenities that include coffeemakers, microwaves, and two-person soaking tubs. 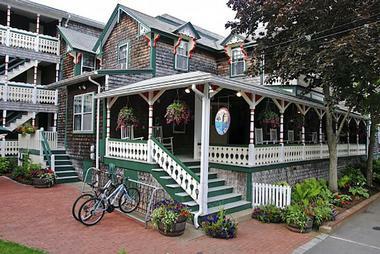 This charming, Victorian-era hotel was originally built in 1873 and is conveniently located near the center of Oak Bluffs, Martha’s Vineyard. The hotel’s central location makes it easy for guests to explore many of the historic lighthouses, pristine sandy beaches, and picturesque bike paths of Martha’s Vineyard. Guests will also appreciate being within walking distance of several art galleries, restaurants, and retail shops. 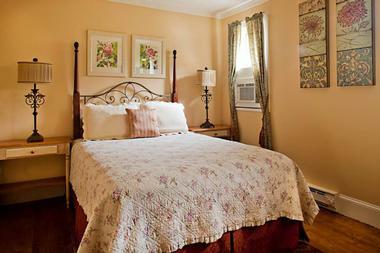 The rooms are bright and airy, tastefully decorated, and feature country-cottage-style furniture. 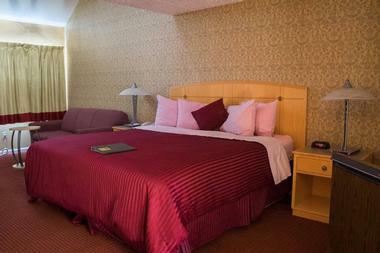 Additional room amenities include flat-screen TVs with cable channels, complimentary Wi-Fi, and adjustable central air. Most of the rooms have shared bathrooms, while some feature balconies with gorgeous water views. This Arts & Crafts manor-style house has a very beautiful and stately appearance. 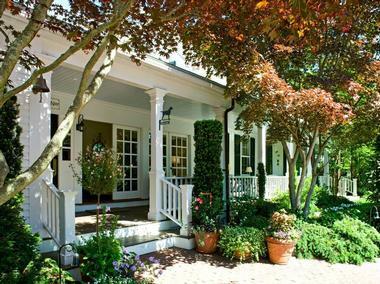 Nobnocket Boutique Inn sits on 1.5 acres of pristine, well-manicured grounds and is situated near the center of Vineyard Haven, Martha’s Vineyard. When staying here, you will be within close proximity to the town’s local amenities. You’ll also be within walking distance of several retail shops, cafés, restaurants, and art galleries. Popular area attractions for guests to explore are the Gingerbread Houses, Mytoi Gardens, and the West Chop Lighthouse. The rooms are contemporary in design, with some of them featuring opulent touches like marble bathrooms, Frette linens, and Gilchrist & Soames toiletries. The charming 32-room Pequot Hotel is located only a block from the beach and is nestled in the heart of Oak Bluffs, Martha’s Vineyard. Guests are only a short walk away from a day of sunbathing, paddle boarding, kayaking, or taking a sailing tour. Also nearby are the town’s many art galleries, cafés, retail shops, and restaurants to explore. Popular island attractions include the Flying Horses Carousel, Gay Head Lighthouse, Martha’s Vineyard Museum, and Aquinnah Cliffs. The rooms are spacious, bright, and feature beach cottage décor. The hotel offers a complimentary daily breakfast and Wi-Fi. Travelers will find this darling bed and breakfast situated on the bustling Circuit Avenue in Oak Bluffs, Martha’s Vineyard. 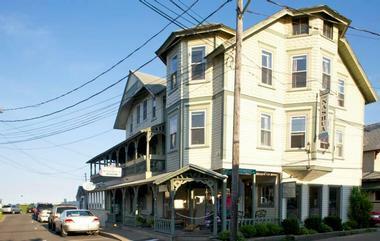 The Oak Bluffs Inn provides its guests with a central location in town, making it easy for them to access a variety of retail shops, cafés, art galleries, and restaurants. There are a number of island attractions that can be conveniently reached from the hotel, some of which include Joseph Sylvia State Beach, the iconic Gingerbread Houses, East Chop Lighthouse, and Correllus State Forest. The rooms are spacious, and tastefully decorated with earth tones. They also feature period antiques. Additional amenities include private bathrooms, Wi-Fi, and a complimentary continental breakfast. The Thorncroft Inn is a wonderfully elegant Martha’s Vineyard accommodation situated in the charming seaside village of Vineyard Haven. With a short 15-minute walk, guests can reach the town’s cafés, restaurants, art galleries, and retail shops. Guests will also be able to conveniently explore the island’s many attractions that include Aquinnah Cliffs, South Beach, Ocean Park, and Katama Beach. The rooms are spacious, feature formal Colonial and early Victorian furnishings, and are equipped with private bathrooms. Some rooms provide luxurious amenities like a fireplace, marble top dresser, or a 210-gallon hot tub. A complimentary breakfast and Wi-Fi are included. The epitome of Martha’s Vineyard charm, the Vineyard Square Hotel & Suites is situated in the seaside village of Edgartown, Massachusetts. Just steps outside the front door, guests will be able to explore the town’s retail shops, art galleries, restaurants, and cafés. The hotel’s close proximity to the Atlantic gives you access to a variety of water activities that include world-class fishing, sailing, paddle boarding, and surfing. The types of rooms available at the hotel are standard, luxury, and suites. The rooms are spacious, bright, and contemporary in design. Room amenities include complimentary Wi-Fi and flat-screen TVs. The Winnetu Oceanside Resort is a charming family-owned Martha’s Vineyard retreat nestled in the seaside community of Edgartown, Massachusetts. Travelers will appreciate the hotel’s nearness to a variety of restaurants, cafés, art galleries, and retail stores. Guests will be just steps from Martha’s Vineyard’s iconic South Beach where they can enjoy paddle boarding, sailing, surfing, and sunbathing. The hotel offers several accommodations, from studios to suites to private homes. The well-appointed accommodations are bright, airy, and feature beach cottage furnishings. Room amenities include private bathrooms, flat-screen TVs with cable channels, adjustable central air, complimentary high-speed Internet, and coffee makers. 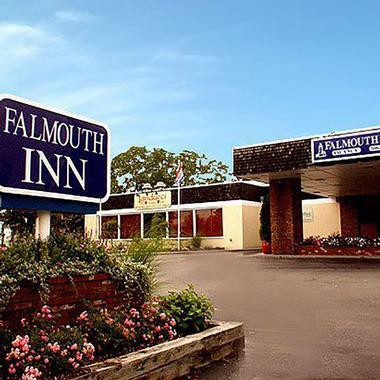 This practical and modern Cape Cod hotel is an excellent option for travelers visiting Falmouth, Massachusetts. Guests will appreciate the hotel’s close proximity to the center of town, and they will also be within walking distance of several shops, cafés, and restaurants. Guests can explore area attractions that include Katama Beach, Menemsha Hills, Martha’s Vineyard Museum, and the Mytoi Japanese Garden. The rooms are spacious, bright, and contemporary in design. They feature modern amenities like flat-screen TVs with satellite channels, work desks, mini-fridges, and private granite bathrooms. The hotel also provides an indoor pool and whirlpool as well as a daily complimentary breakfast. Situated along Massachusetts Route 28, Admiralty Inn and Suites provides an excellent lodging option for travelers visiting the Cape Cod area. Guests staying here will appreciate the hotel’s close proximity to downtown Falmouth, ferry services for Martha’s Vineyard, and picturesque beaches. Spend the day exploring the town’s art galleries, unique shops, restaurants, and the scenic Falmouth Shining Sea Bike Path. The rooms are contemporary in design, have beige patterned wallpaper, and red and gold striped carpet. Some rooms offer opulent touches like Jacuzzi tubs and spiraled staircases. All of the rooms have private bathrooms, flat-screen TVs, and complimentary Wi-Fi. 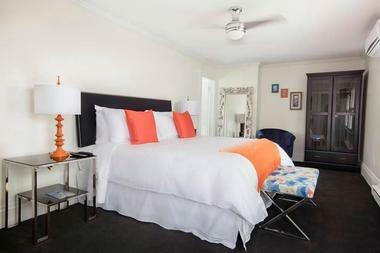 This quintessential Cape Code hotel is situated in the heart of downtown Falmouth, Massachusetts. Guests staying at the Inn on the Square will find its rustic walls and nautical weathervanes quite charming and very fitting for this seaside community. The hotel’s idyllic location makes it easy for guests to explore nearby boutique shops, art galleries, cafés, and restaurants. You will also be conveniently near Cape Cod’s picturesque beaches and the ferries that usher travelers to Martha’s Vineyard. The rooms are tastefully decorated with elegant furniture, earth tones, and plush bedding. Room additions include granite vanities, flat-screen TVs, and opulent bath amenities. This quintessential Cape Cod boutique hotel is steps from the Atlantic Ocean and is located in the heart of Falmouth, Massachusetts. With marvelous ocean views from almost every room, the Seaside Inn certainly lives up to the name. The hotel is also very close to waterfront dining, retail shops, cafes, and Martha’s Vineyard ferry services, and guests visiting Martha’s Vineyard Island will be able to enjoy popular attractions that include Edgartown Lighthouse, Inkwell Beach, and Long Point Wildlife Refuge. The rooms are bright from the large picture windows, feature beach cottage furniture, and get a wonderfully refreshing Atlantic Ocean breeze.